Luquillo (loo-Kee-yo) is know as a beautiful Costal Town where the morning sun first arises on the Island. Praised by both Local & Visitors, Luquillo is a heaven for beach lovers of all kinds. 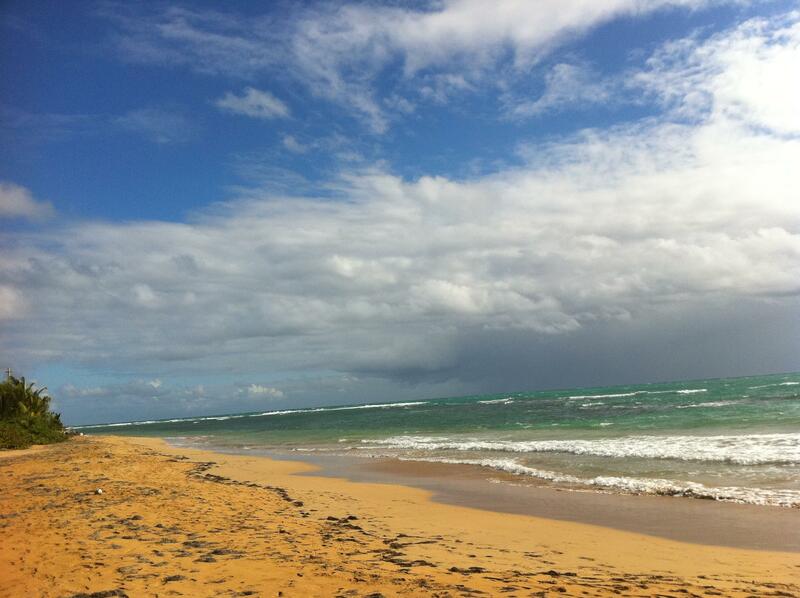 From the serenity of the Luquillo Public Beach, to the Waves of LA PARED (the wall) where Surfers ride. Luquillo is one of the few towns that offers both Beaches and proximity to major Tourist Locations. Offering awesome Ocean and Island Mountain side Views. Just 10mins. from The National EL YUNQUE rainforest and with World Class Hotel Resort & Country Clubs (golf courses) in the area, make Luquillo a prime location for a Second Home on the Island. Luquillo is approximatly 45mins. from the International airport and the capital of San Juan. We hope to see YOU in Luquillo soon. Public schools of all levels are easily accesible. Private bilingual school available at elementry level. Amenities such as Restaurants, Pharmacies, Super Market, are within walking distance from some of the private dwellings. English Church Service available at Christ Tabernacle just off route #3. There is a small Inn(Luquillo Sunrise Inn) located Beach Front from "Costa Azul Beach" and many short term rentals in the area. Most Luquillenses live in Urbanizaciones (subdivisions), with close access to the main road Route#3. *El Conquistador Resort Waldorf Astoria Hotel and the Las Casitas Village (Fajardo) *Arthur Hills Golf Course* Nestled in the classic, sun-drenched resort on a bluff above the the Atlantic, is Las Casitas Village, an enclave of private villas. Outside the luxurious villas, guests will find a myriad of pleasures including the celebrated Golden Door Spa. *St. Regis~ Bahia Beach (Río Grande) *ONLY FIVE DIAMONDS IN PUERTO RICO* with Robert Trent Jones Jr. 18 hole Golf Course ~ Reméde Spa and the Savory Jean-Georges FERN restaurant. "This Hotel is making a name for Puerto Rico @ the top end of the Luxury market"
Luquillo (loo-KEE-yo) is a Costal Town of Puerto Rico located in the northeast coast, just northwest of Fajardo; and east of Rio Grande. 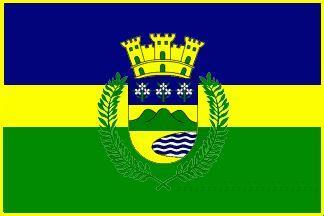 Luquillo is spread over 5 wards and Luquillo Pueblo (The downtown area and the administrative center of the city). It is part of the Fajardo Metropolitan Statistical Area. 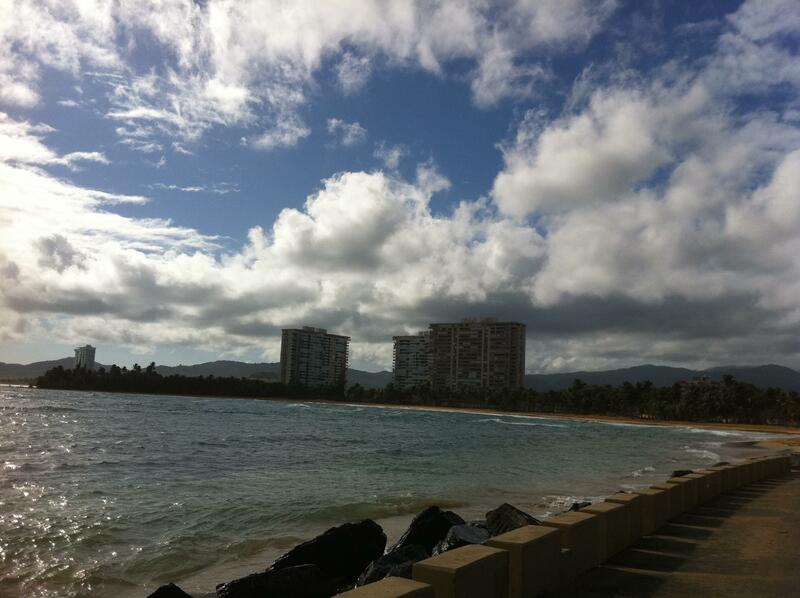 Luquillo is known as "La Capital del Sol" (Sun Capital) . Luquillo was founded in 1797 by Cristóbal Guzmán. The town was named after the Indian cacique Loquillo, who died a few years after the last Indian rebellion in 1513. It consists of three horizontal stripes, the blue top and green bottom are double of width of the yellow central stripe. Blue makes reference to the sky and the sea; yellow represents the sand of its beaches and green represents the vegetation of the mountains. In the center stripe resides the Coat Of Arms of the town superimposed and surrounded by two palm tree leaves crossed at the bottom. In a gold background a centered mountain range with three green mountains is accompanied at the bottom by a bay with blue and silver waves; the top portion of the shield in blue, has three iris branches. Above the shield resides a three tower gold crown. Surrounding the shield by its flanks are two palms trees leaves crossed at the bottom. If you stay on the coastal highway going east from San Juan, you'll soon reach Luquillo Beach. This huge plantation of majestic coconut palms shades more than a mile of fine and shimmering sand. 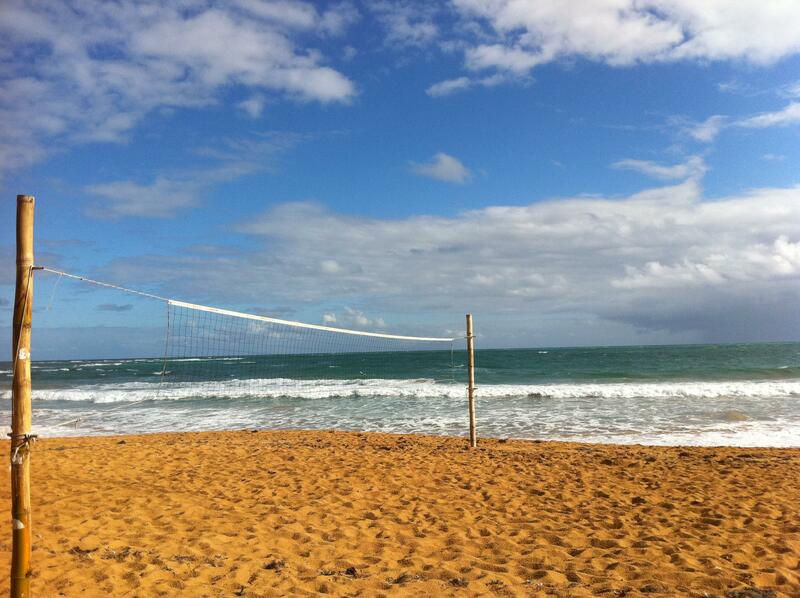 It is one of the most popular and nicest public beaches in the San Juan area. It offers cafeterias, public bathrooms with showers, access for disabled people, and an ample parking lot. 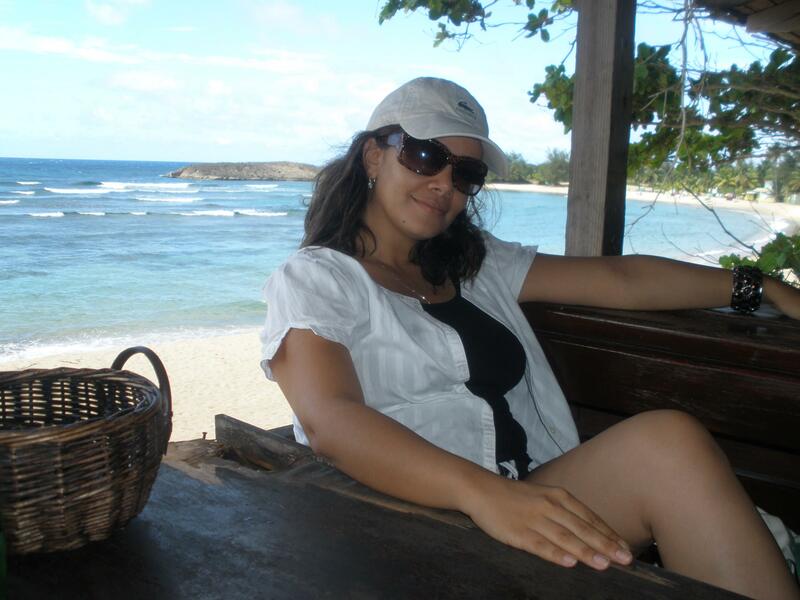 Monserrate Beach is one of the public beaches most frequented by the locals. In 2006 El Balneario de Luquillo (The Luquillo Beach) was pronouced the most popular one in Puerto Rico.